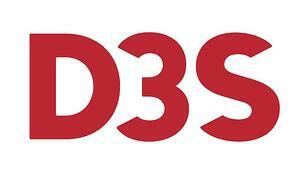 D3S Group is a full-service technology company that values creativity in everything they do. But more than that, they’re problem solvers. They bring a holistic approach to all customers, taking on their challenges in order to deliver solutions that create lasting value. Using technology, the best people, decades of combined experience developing solutions, and sheer creativity, D3S know what it takes to solve customers’ biggest challenges. They succeed by developing innovative approaches that aren’t bound by traditional thinking.